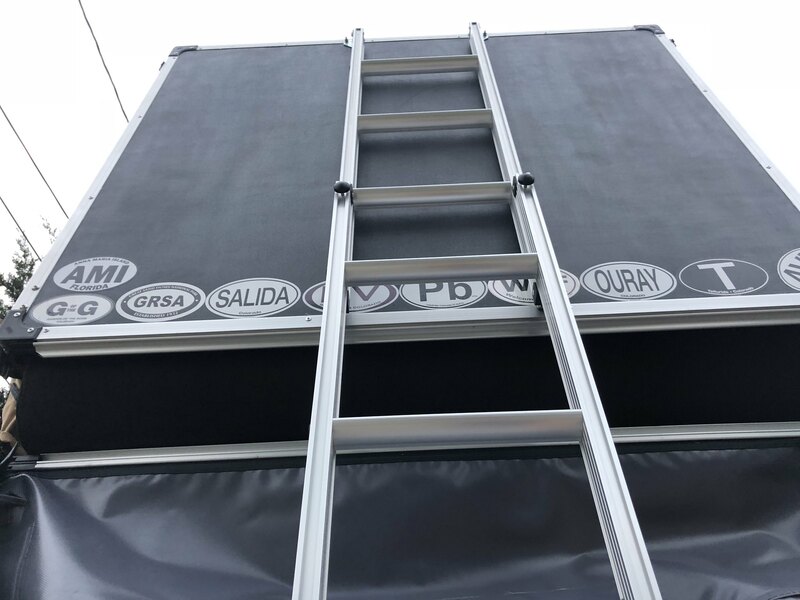 For what it's worth, I believe the OME lift is advertised as being 1.5"-2" of lift. I swear when I bought my front medium duty springs in 2014 they were advertised as 1.75" lift. Regardless, even at 2" of lift you shouldn't be experiencing coil bucket contact. I have mine on Bilstein 5100's on the lowest setting with a PRG 1/4" spacers (1/2" lift) and have never had any issues with coil bucket contact with hundreds of miles off road. Well, we really didn't get to travel this year but we have 3 smaller trips we are doing this fall. 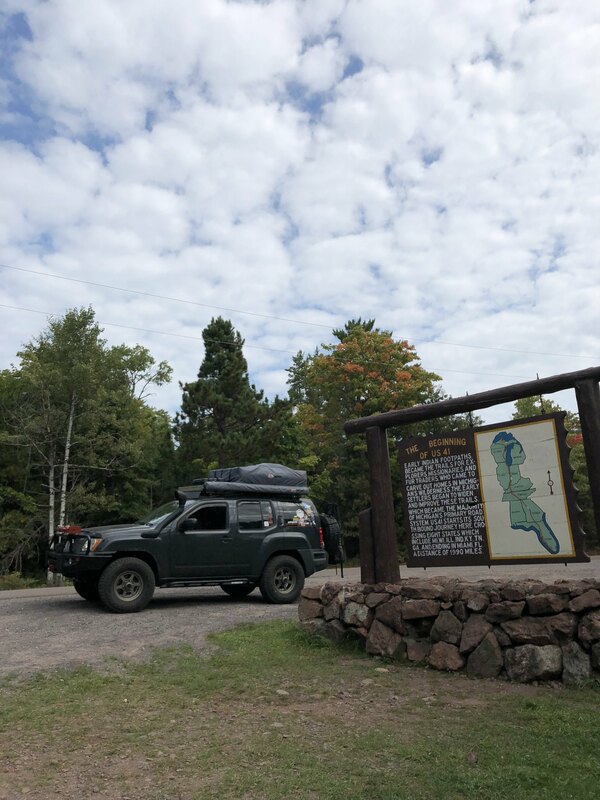 September's has already come and gone with a trip up to the Keweenaw Peninsula of Michigan for KOAR 2018 (Keweenaw Overland Adventure Retreat). 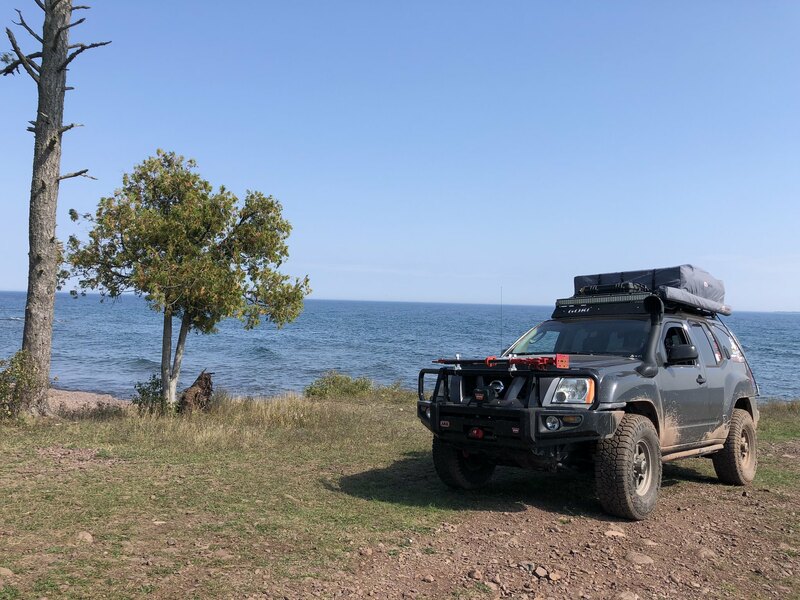 It was the first year for this event and gave a easy opportunity for me to explore the Keweenaw a bit more than my trips to LSPR has allowed. Also, it gave my wife her introduction to the area and she quickly fell in love with it to. KOAR offered the opportunity for group rides as well as various classes. We mostly struck off on our own to see some sights, no particular reason, we just took the weekend at our own pace. 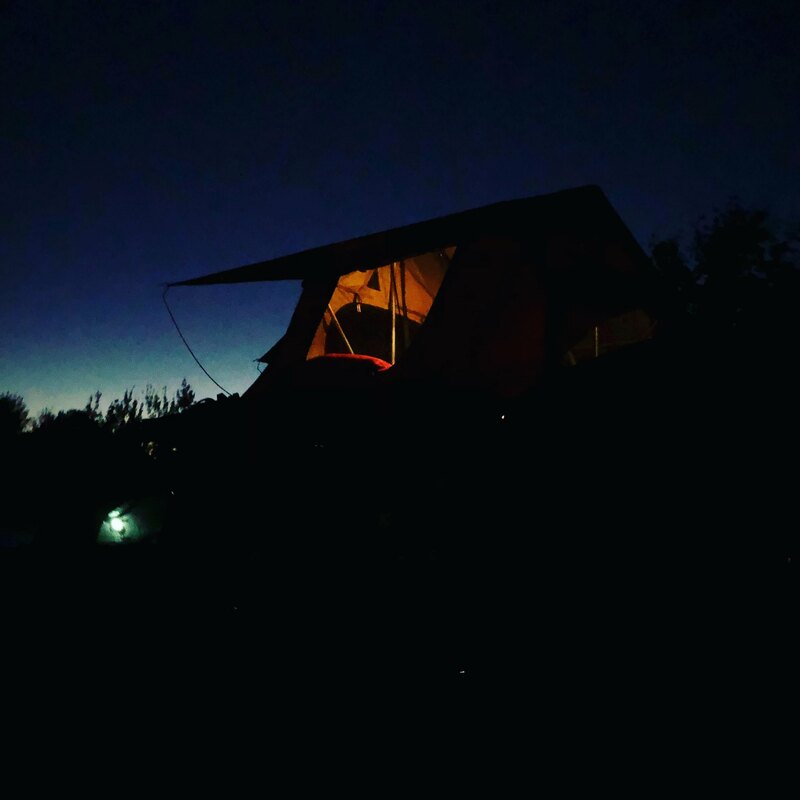 Setup at camp for our first night in the new setup. 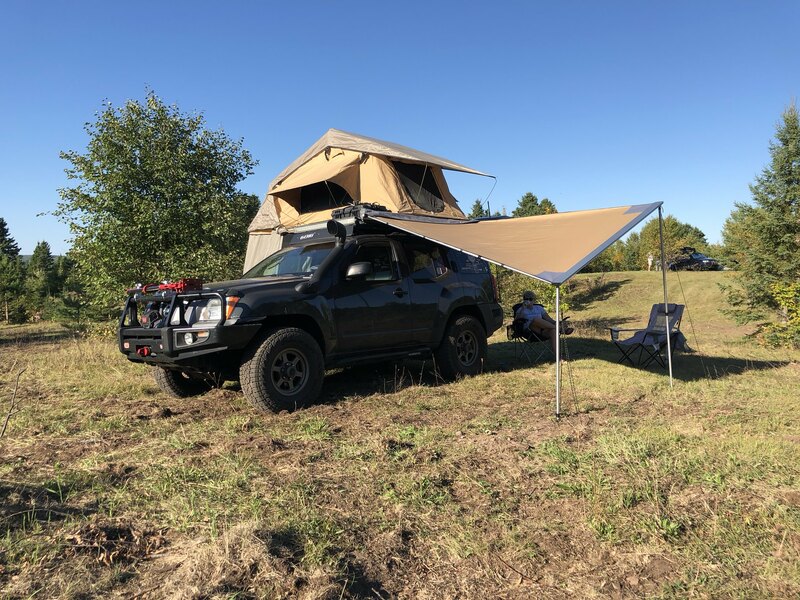 This was the first outing for the awning, RTT, and suspension. As usual, the Snow Peak mini lantern does a great job for out tent. 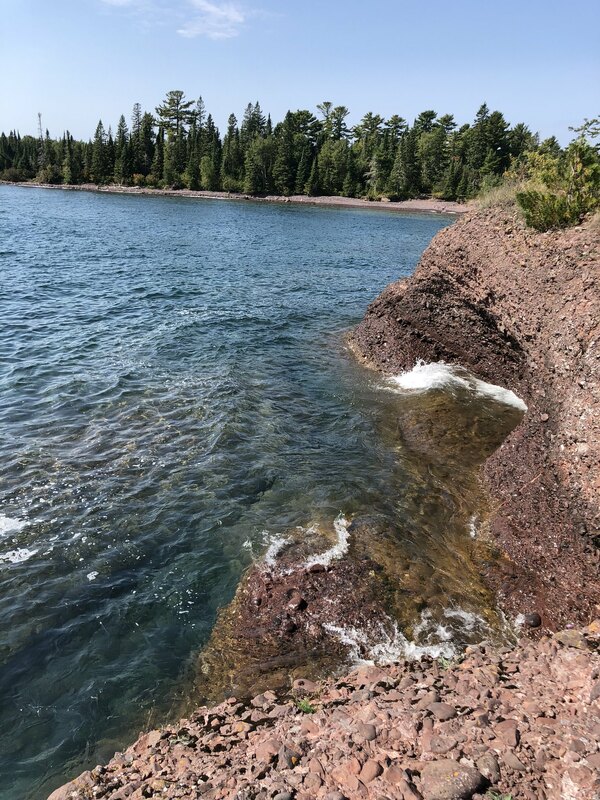 Friday we headed up to Copper Harbor by way of Lake Lindon, Gay, and Loc Le Belle. Took a quick stop at the US41 Terminous. Then hit the trail to our true destination of the day, High Rock Bay. We bummed around some other locations I've been to before to show the wife around and then went back to Atlantic Mine to make camp. 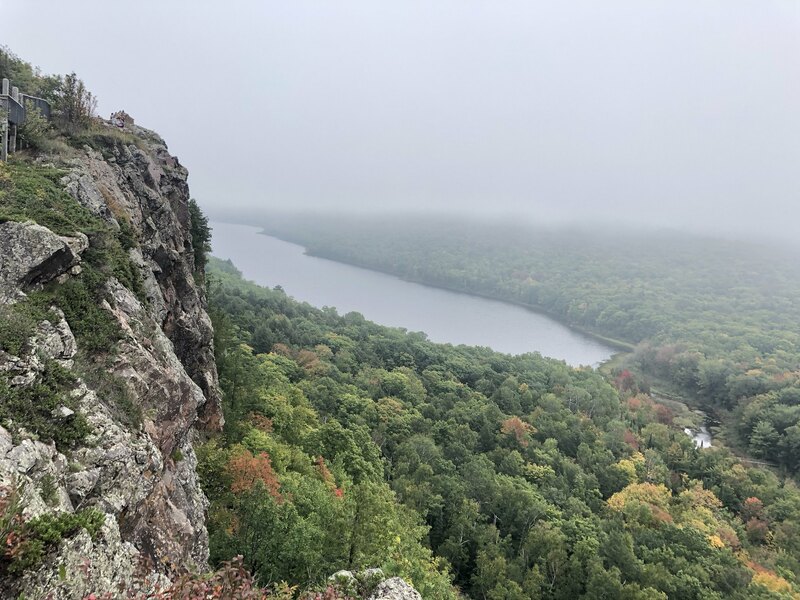 Saturday we headed away from the Keweenaw to the Porcupine Mountains to check out Lake of the Clouds and Ontonagon. 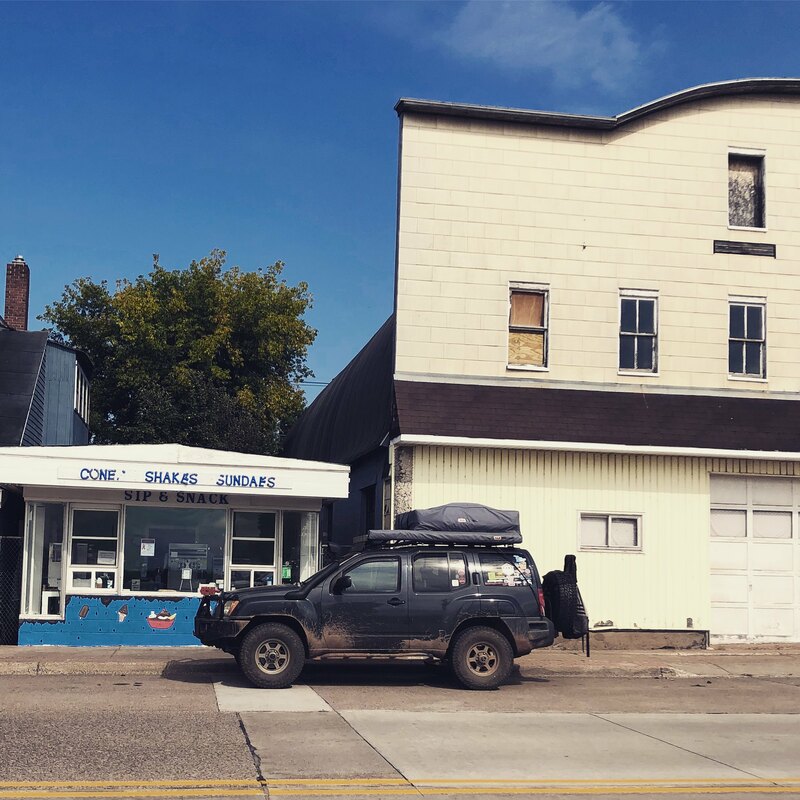 It was a little different than most everyone else at the event but we will be back in the Keweenaw in October for LSPR and I figured we'd catch a couple other locations then as well. 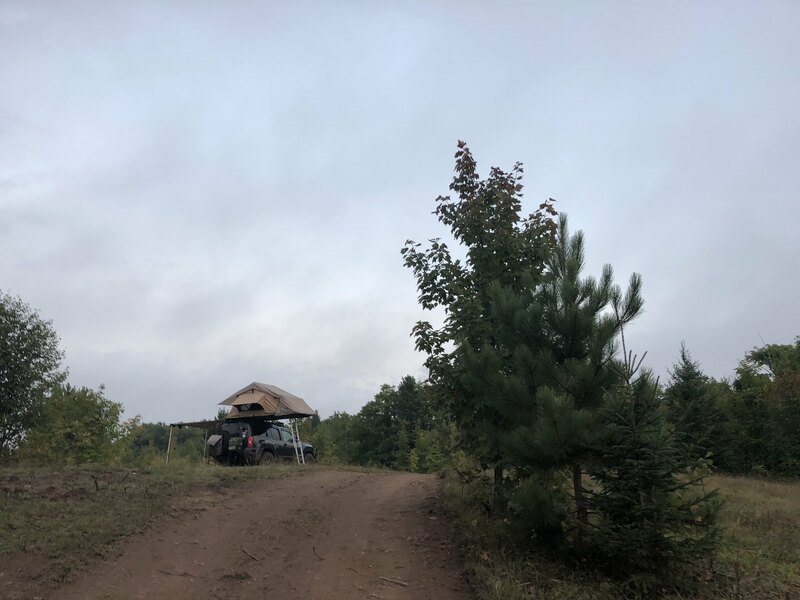 Was not sure the next time we could make a quick, partial day trip to the Porcupines. 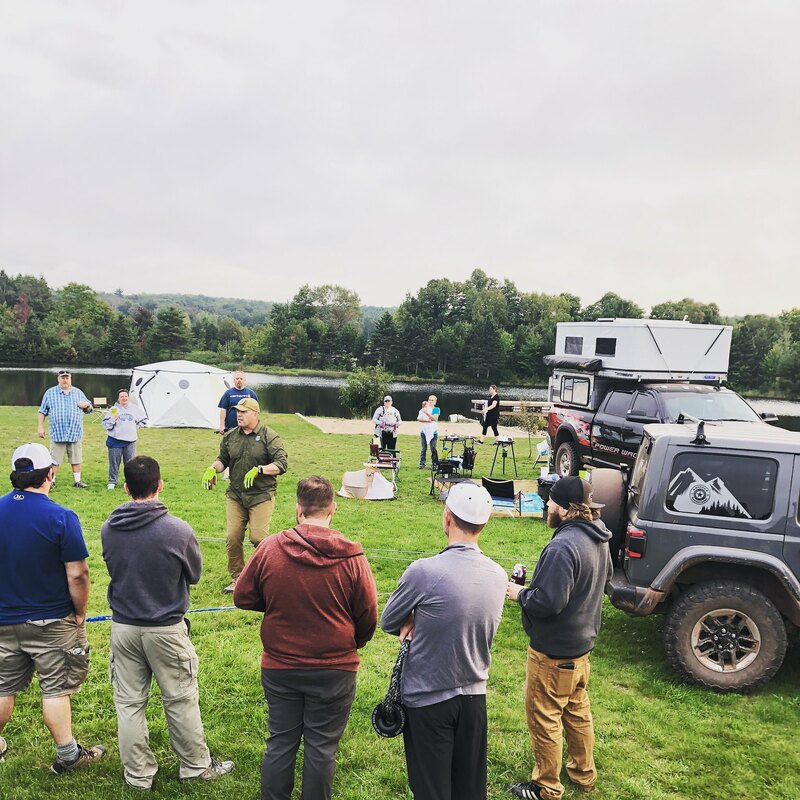 We finished out the event with a talk about some recovery techniques from the American Adventurist. 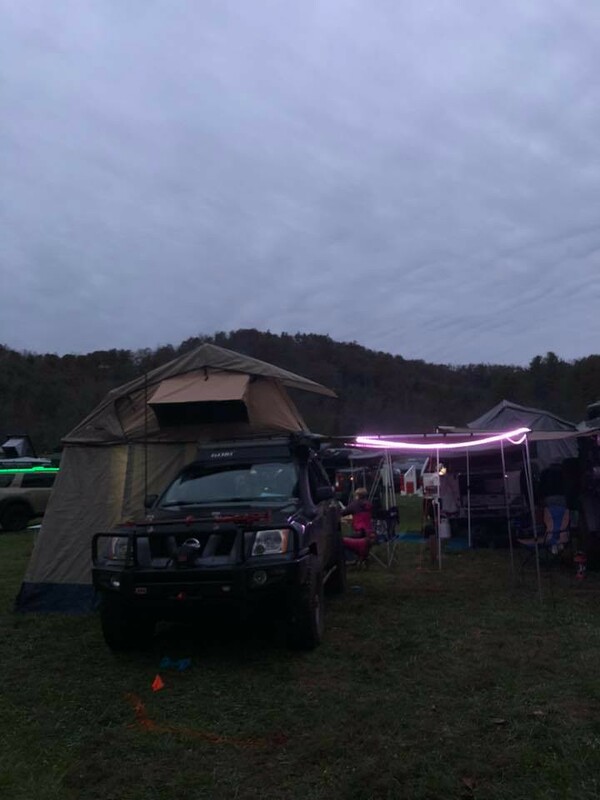 It was a fun but short weekend. I love Traverse City but the Keweenaw is my mistress. 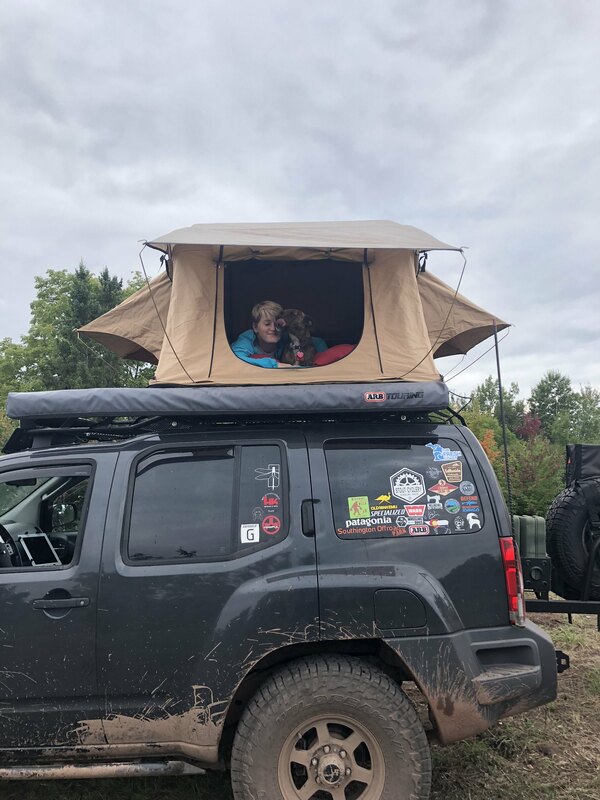 The girls and I really liked sleeping in the RTT. 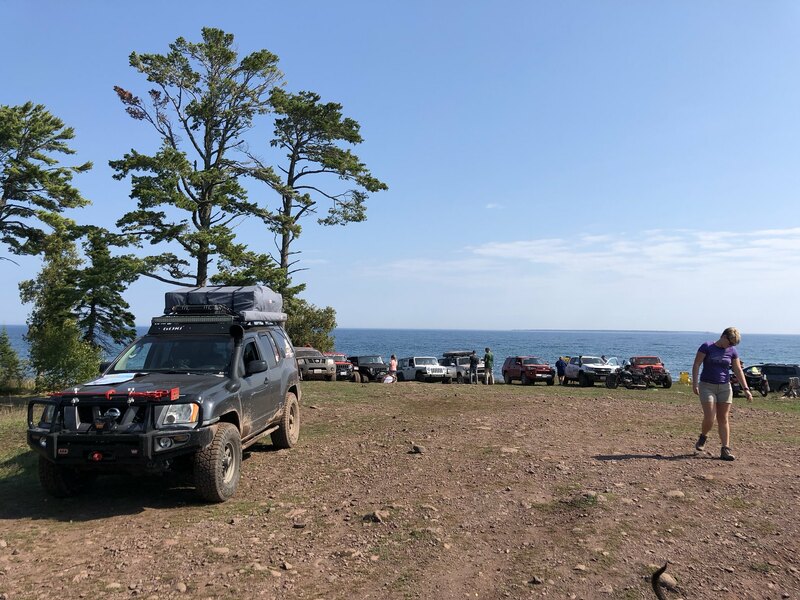 Cannot wait to get back up there next month for LSPR, hoping to run back up to Copper Harbor Friday before Parc Expose as well as maybe the Mouth of the Huron on Saturday. After that, we already have our tickets for Expo East in November. So we were at the fateful 2018 Expo East. It was tough but fun. Watching people struggle around in the mud we decided to stay parked and while at the truck making lunch and dinner we used our Maxtrax to keep traffic moving or from sliding down into the creek. 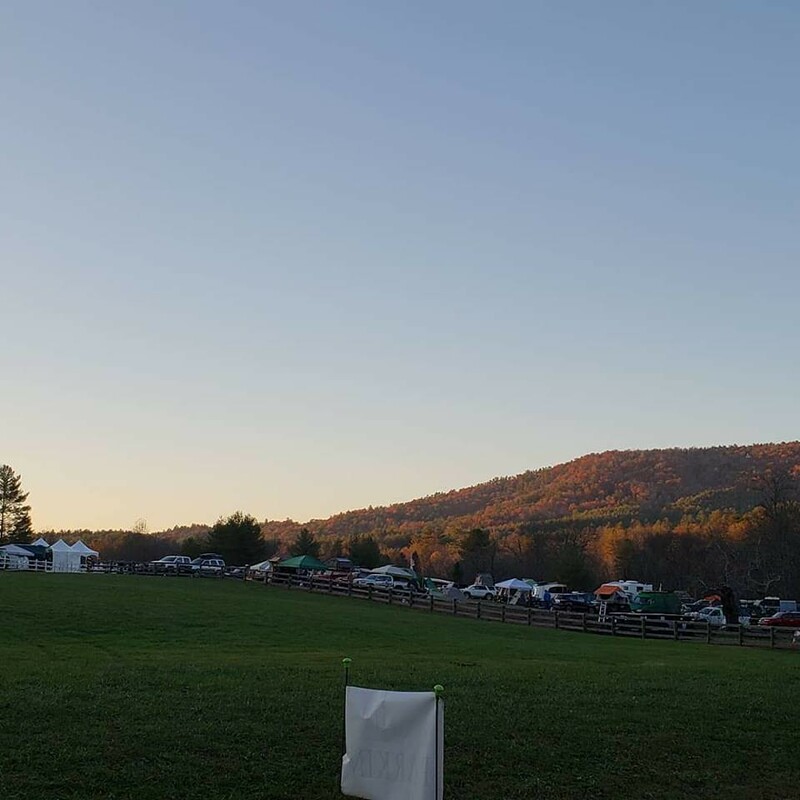 We had great neighbors and great deals in the vendor area. Classes that we attended were not the best but that's okay. We had picked up some Luminoodles for use at night. 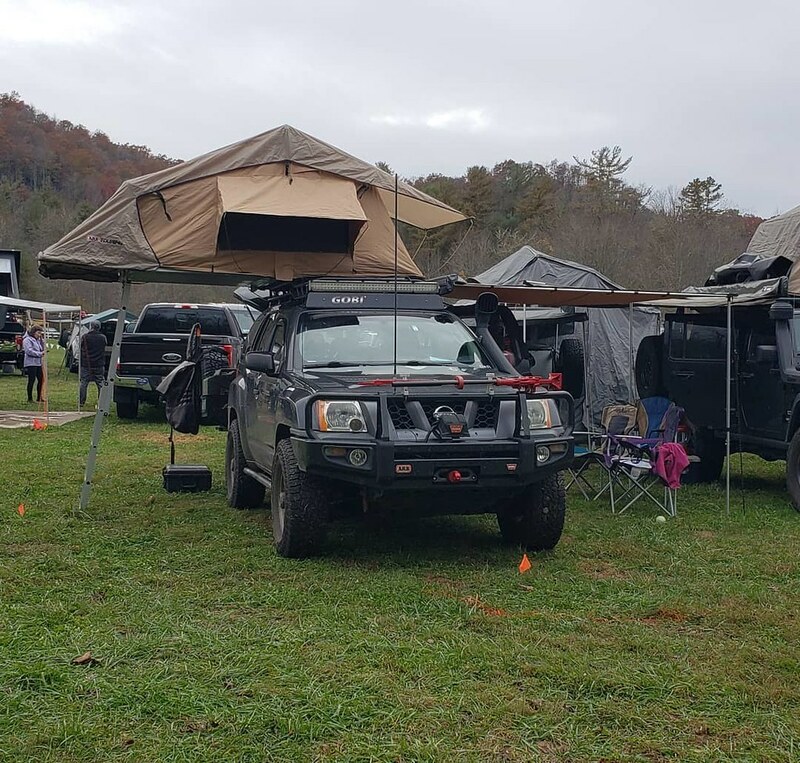 The 20ft basecamp for around our awning and a 5ft strip to run up our ladder on the tent. 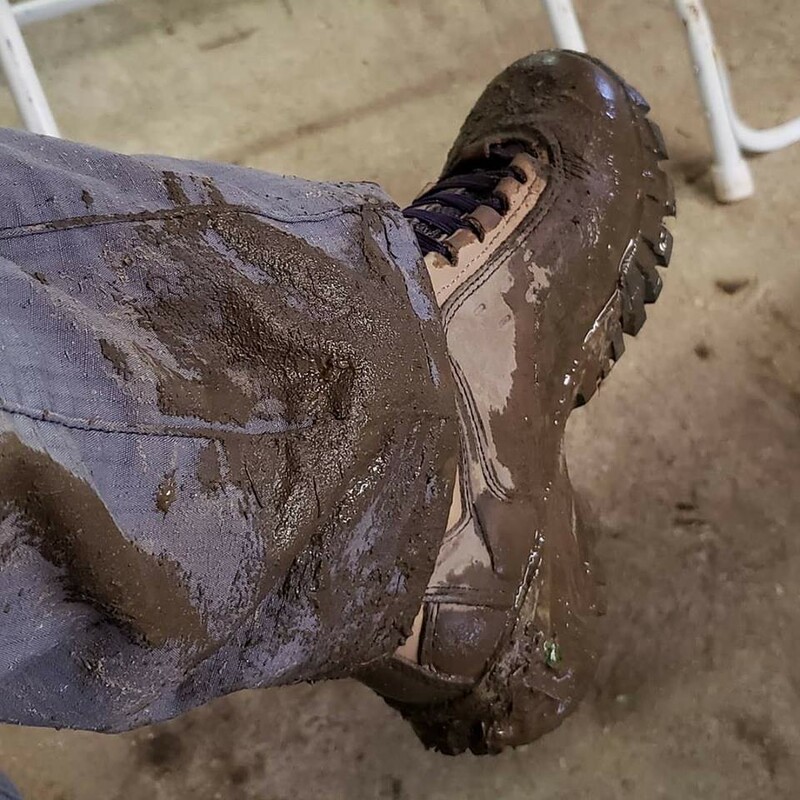 As everyone knows the mud was epic. But so were the sunrises. The temperature changes were also epic. So really Expo East this year was a great opportunity to put that nice gear we have purchased to the test a little bit in a very controlled space, and learn together if need be. Is your shelter solution able to withstand an 18 hour downpour? Is your rain gear and foot wear as water proof as advertise? 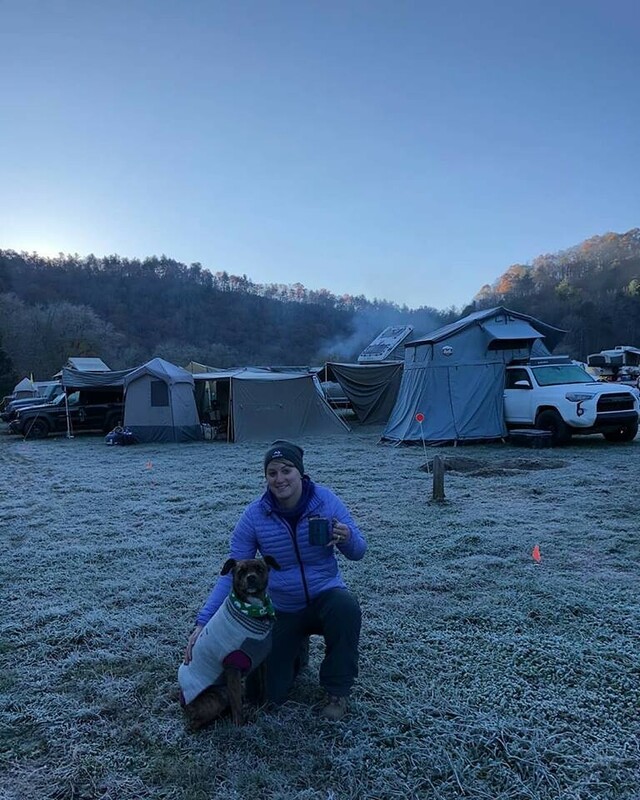 Is your sleeping bag up to snuff? How does your heavy rig and tires get on in thick deep nasty muck. I cannot say enough good about our neighbors, we had a great time. Two big things from Expo East. We were lucky enough to win a 100w Solar Kit in Kore Lighting's raffle. Cait and I look forward to putting it to use this year. Also, since we had purchased Maxtrax at last year's Expo we weren't rushing out to buy some. 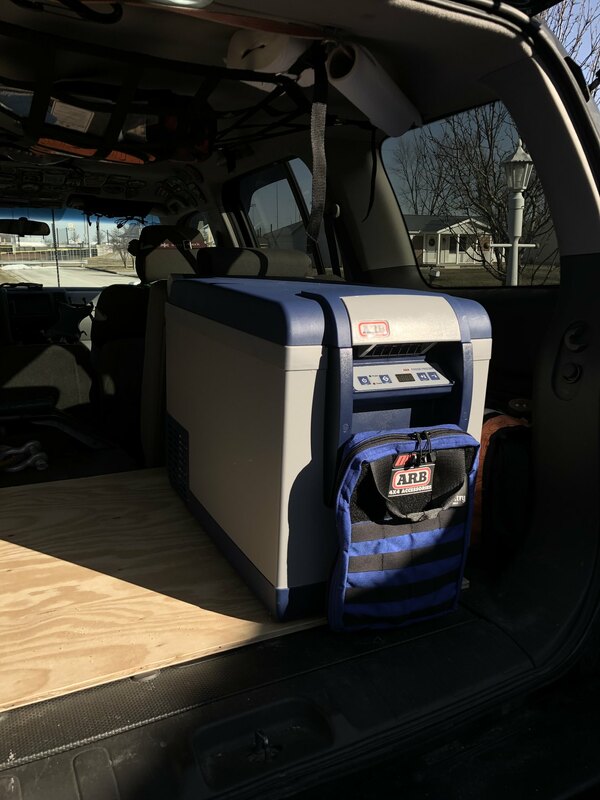 We were able to take advantage of some sweet deals ARB had on their refrigerators and got a 48l unit with the Blue Ridge Galley kit and a remote temp display and a insulating cover. 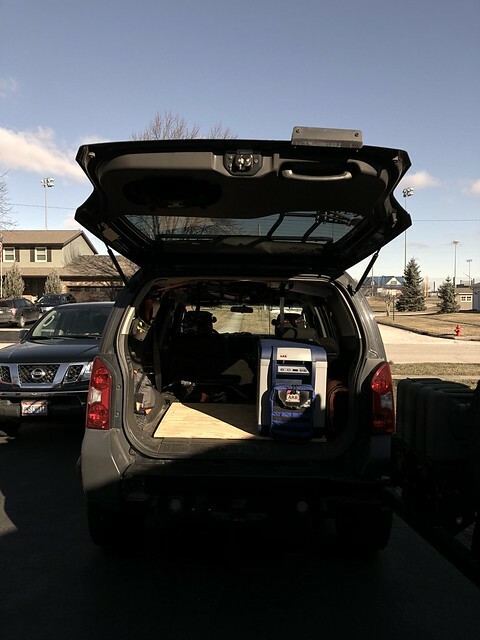 This fridge will fit in well in the Xterra and eventually, when it's time, the JKU Rubicon. 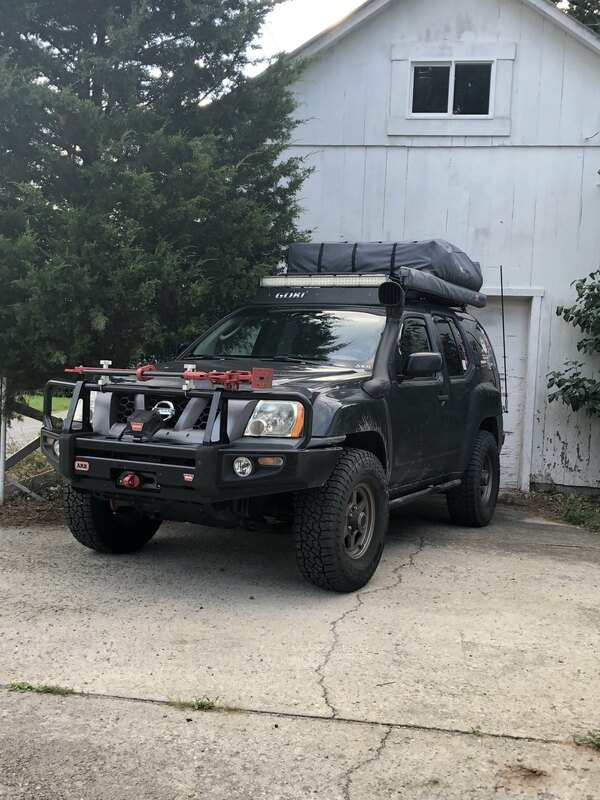 I just started working on a deck to bolt to the tracks in the back of the Xterra to install a Tembo Tusk slider onto. 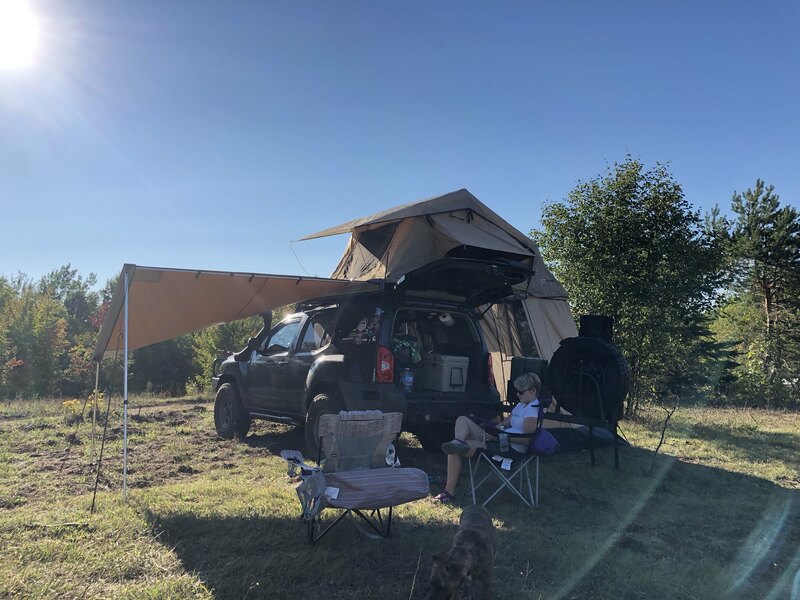 In another note, while the OME leaf packs are noisy unloaded, once the Xterra is loaded down with the awning, RTT, bags, giant cooler of food; it quiets down, doesn't droop or lose poise, and performs amazing offroad whether it be at speed on a washboard road or crawling up and down dips. Simple and gets the job done. Interested to see how your fridge slide setup comes together! I agree with everything about the OME leaf packs, they are noise and pop and groan a ton on my rig as well, but they certainly do handle and ride well. The noise is ridiculous and I wish OME would investigate and add better friction pucks and spacers into the leaf packs. Mine aren't even a year old yet and they pop, groan and make more noise than I do getting out of bed! Was the same way with the ones on my Tacoma though. Some people did take theirs apart and add friction pads. They work for a while but will still get sand/dirt in there and start making noise again eventually.